Innsbruck, 19 November 2012. Advisory board sessions for the Passive House conference are taxing - not that the experts that come together here are difficult to deal with, on the contrary, working with the board of advisors is very constructive and productive. The problem simply is that there are about 200 submissions, and most of these papers really are excellent; they describe the experiences that have been gained with projects that have actually been realised, yet only 76 of those abstracts can be presented at the Conference, of which perhaps only 25 to 35 poster presentations will be accepted. Which contributions should be accepted and which of them will be given a chance next year? 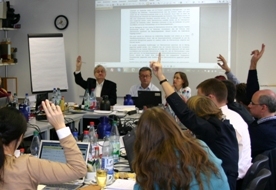 13 November 2012 – Two and a half years after its creation, iPHA proudly welcomes its 1500th member. 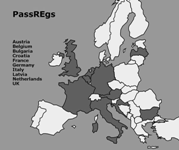 iPHA membership has grown rapidly since its foundation by the Passive House Institute in May 2010, with members coming from 43 different countries and over 90% coming in through iPHA’s 12 national and regional Affiliates. iPHA would like to thank all its members for being part of this truly global network and contributing to the advancement of the Passive House Standard worldwide. 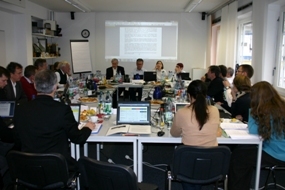 23 May 2012, Darmstadt/Hanover, Germany: The 2012 International Passive House Conference was a great success with 1,000 visitors from more different nations and more international presentations than ever before in its 16 year history. “Yet, it is not about quantity – what really matters are the contents,” said Wolfgang Feist, thanking the speakers from across the globe for their outstanding contributions. *This is a correction of the original press release, published on 9 May 2012, which quoted “5 million” instead of the correct “5 billion” square metres of living space. Solutions for both new builds and retrofits on display at the 16th International Passive House Conference – the largest and most significant international conference on energy efficient construction. 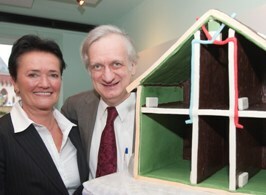 9 March, 2012: Passive House Institute Senior research scientist Berthold Kaufmann finished his US tour in New York with iPHA Affiliate NY PH, an extremely active group of Passive House stakeholders. Here he held two back to back afternoon sessions focusing on Passive House in hot and humid climates and Passive House cooling concepts. The first session, for NY PH members only, saw over 50 participants while the second, which was a bit more general in nature, was open to the public and attracted over 80 Passive House stakeholders. Both presentations will soon be available to iPHA members in the Member Area. 6 to 8 March, 2012: the US Army Corps of Engineers in collaboration with the Passive House Institute (PHI) and Passive House Academy (PHA) held a High Performance Building Envelope Workshop in San Antonio, Texas (USA). Some 160 participants from the Army, Navy, AF, GSA and DOE, comprising architects, engineers, project managers and contractors attended. Topics relevant to new builds as well as deep energy retrofits were addressed by world class experts in building sciences, with special attention paid to the role of Passive House through multiple keynotes and seminars by the Passive House Institute’s Berthold Kaufmann, the Passive House Academy’s Tomás O’Leary. Dr. Wolfgang Feist, director of the Passive House Institute, also made a special video address, currently available in the iPHA Member Area. Wolfgang Feist officially handed over the first "Certified Passive House Tradesman" Certificate on 27 February in Traunstein, Germany. In a great start to the New Year, iPHA is proud to announce its first affiliation with a regional Passive House Association in the US. NY Passive House (NYPH) officially became an iPHA Affiliate this January, offering Passive House stakeholders in the US an opportunity to join the Passive House movement both on a regional and on an international level. 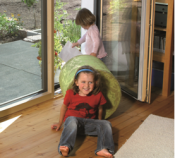 Learn more about iPHA's Affiliation with NYPH as well as other recent Passive House developments in the United States.